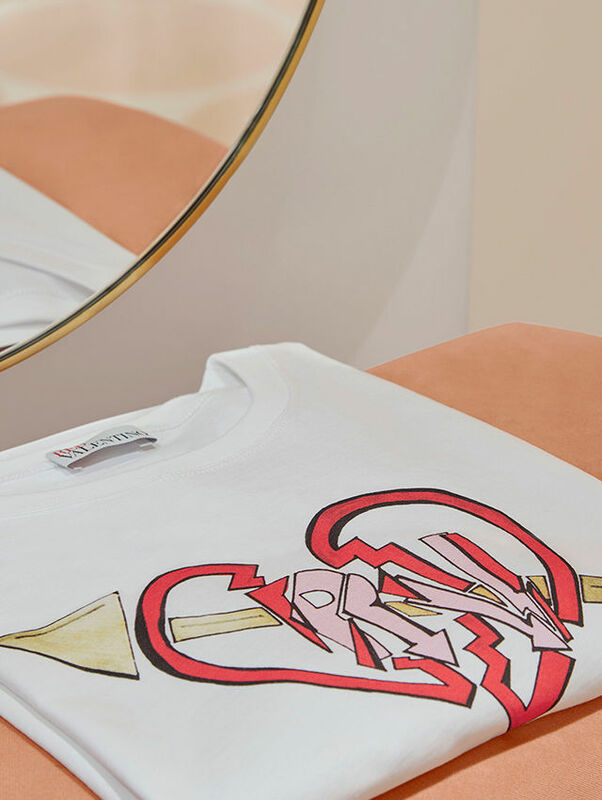 For the yearly celebration of Milan’s Salone del Mobile, this year, REDValentino has paired up with Rome’s Accademia di Belle Arti for a very special collaboration. 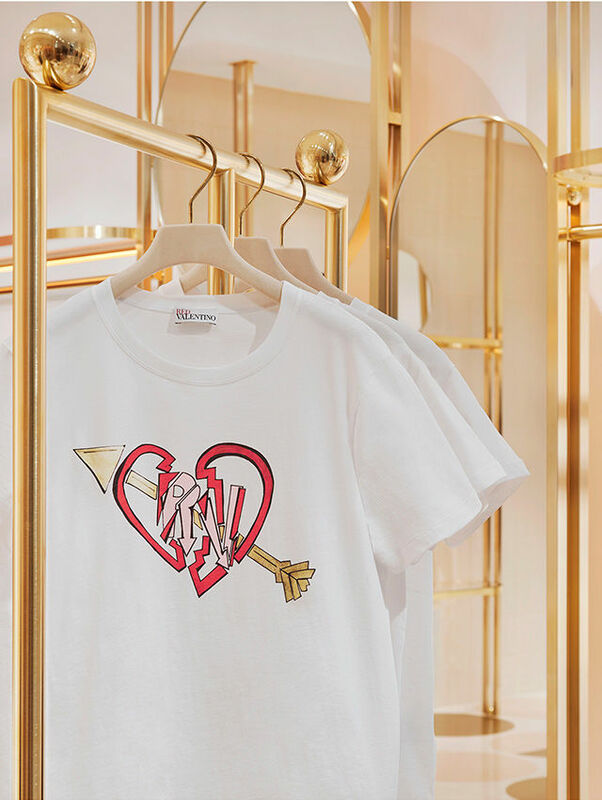 It is not the first time that REDValentino has collaborated with the students of the Accademia, as the collaboration includes the latest campaign from the new Pre-Fall/Winter collection 2019-20. 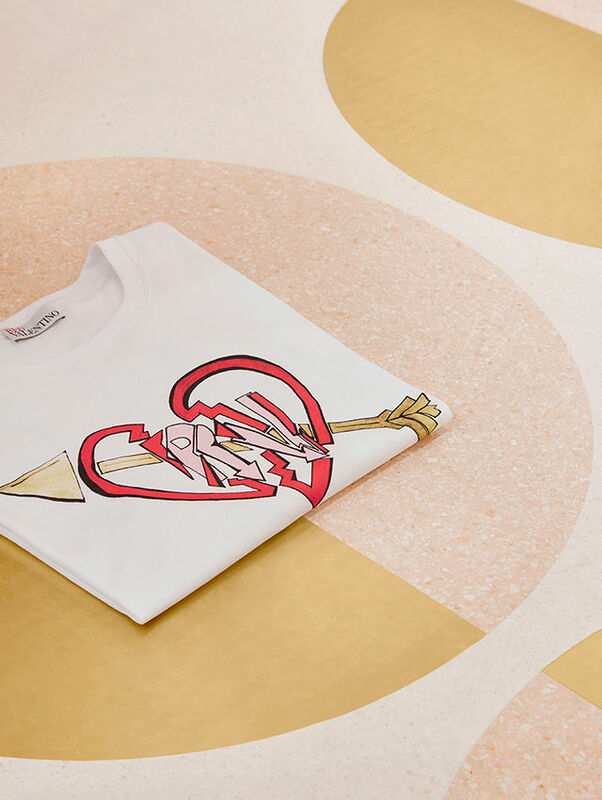 The campaign is inspired by art, creativity, passion and youth, and stars twenty-three talented students from the Accademia as they pose around their creative workspace, which also happens to be one of the most important and ancient academies of fine arts in Italy. 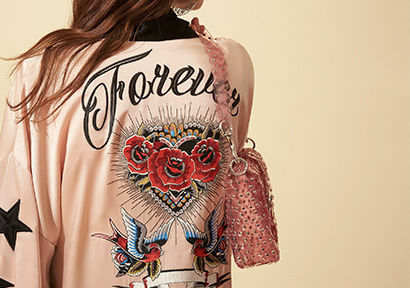 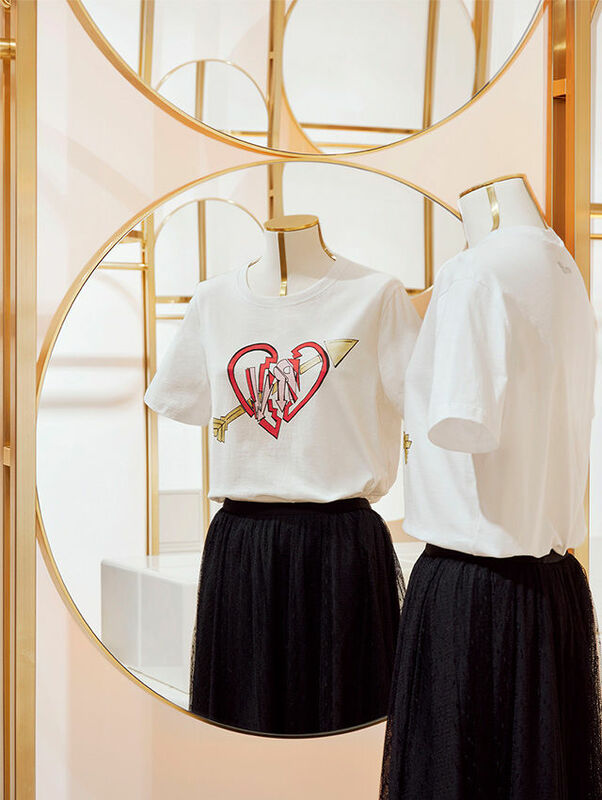 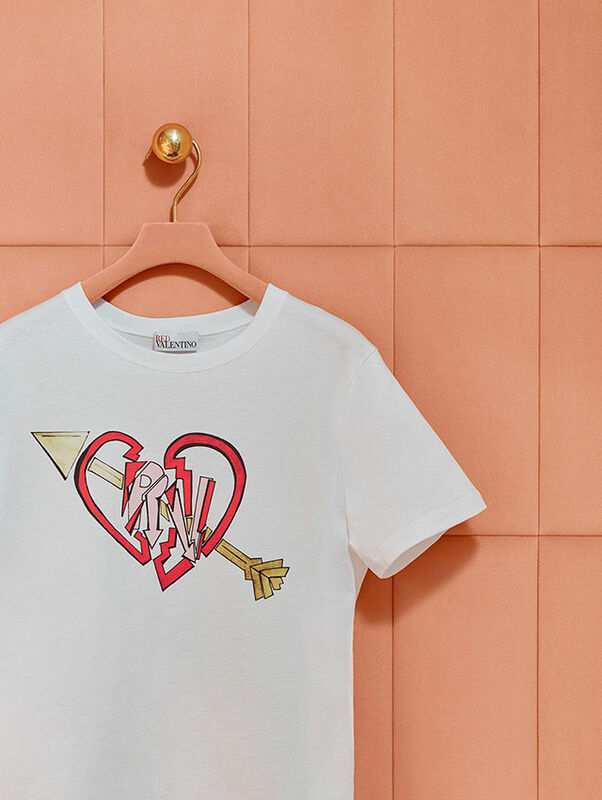 Yet, for this occasion in particular, REDValentino, will push the students of the Accademia to interpret the theme ‘Love and Rock design’ chosen by the brand, for the creation of a very special graphical print. 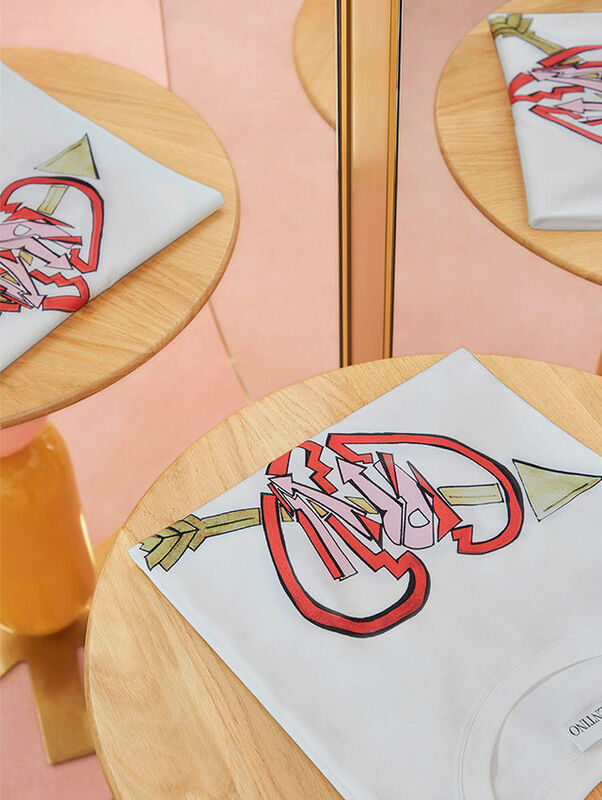 The print will be then used to create a fun new limited-edition T-shirt which will be previewed at a cocktail party in the Milanese store in Corso Venezia, 6 on the 9th of April and will be sold during Milan’s Salone del Mobile 2019, from then onwards.